These pants pass the serious stretch test. The fabric comfortably moves with you so you can flow through your sun salutations without worrying about showing off your underwear to the whole class. The soft fabric wicks sweat, and the flattering high waist keeps you feeling secure and supported. Stay hydrated throughout your practice with this plastic-free bottle. Every Love Bottle is made in the U.S. with 40% recycled glass. 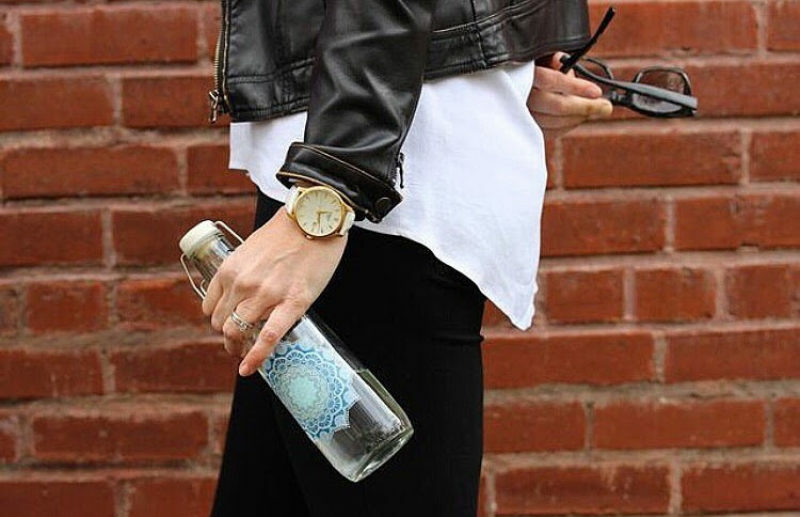 The bottle holds a little over two cups, and the slim size fits perfectly in your hand and most cup holders. The ceramic swing-top lid fits tightly so you don’t have to worry about spilling your water all over the studio or accidentally soaking the computer in your bag. Hot yoga may leave you feeling blissed out, but the stench coming off your favorite clothes can quickly ruin it. Beat the funk with this New Zealand Merino wool tank. 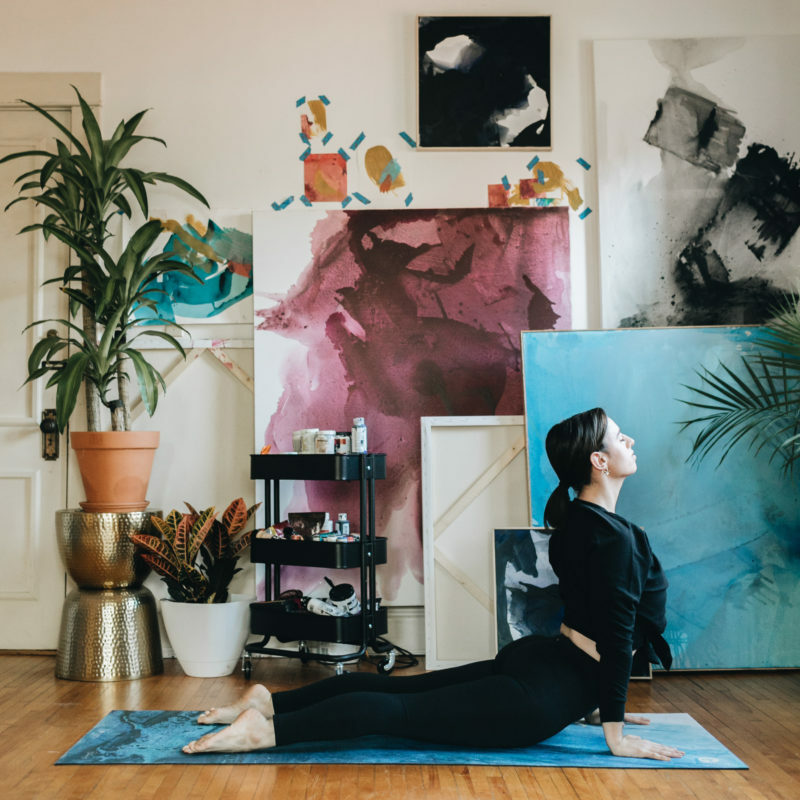 The Seattle-based and woman-owned running company designed this tank to stand up to sweaty workouts without bunching or rubbing so you can stretch out or hit the gym comfortably. 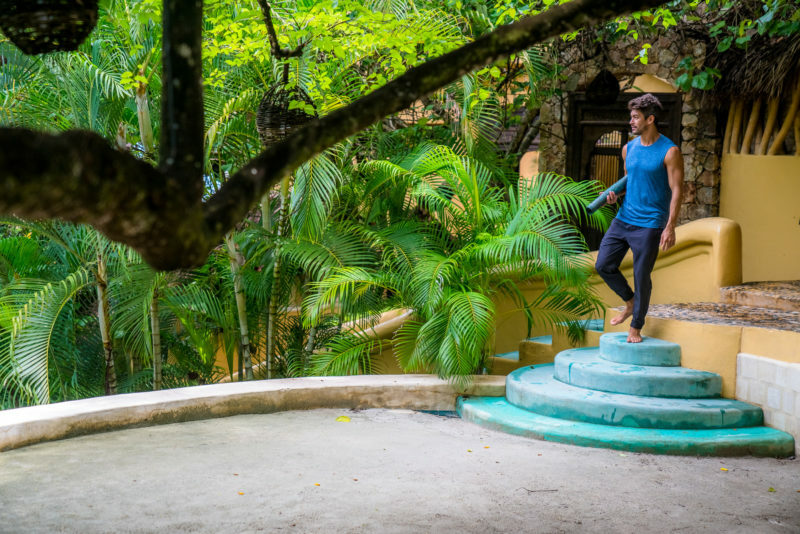 This fair trade-certified top is designed to stretch and breathe even better than you do. The lightweight tank helps you stay cool and dry even when the heat is blasting. Thanks to its anti-odor tech, you don’t have to worry about stinking up the studio or your laundry bin. Sweaty yogis rejoice! 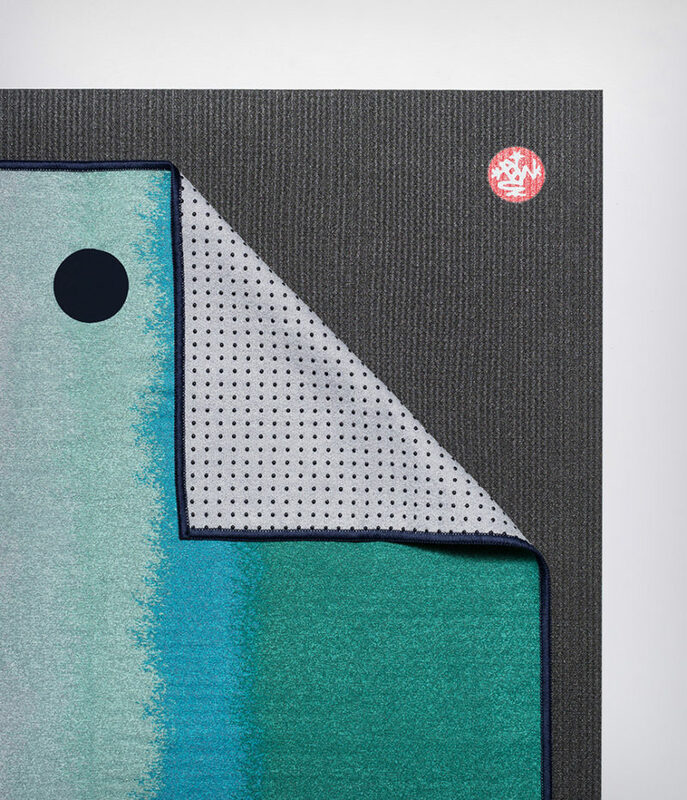 Manduka’s eQua mat is designed to keep your hands and feet locked in no matter how much you sweat. The seamless mat is a clever hybrid with a soft microfiber towel layer on top of a supportive natural rubber mat. No more slipping and sliding or constantly adjusting your towel. Simply toss it in the washer when class is over for a fresh start. It doesn’t get easier to grab your bag and go. 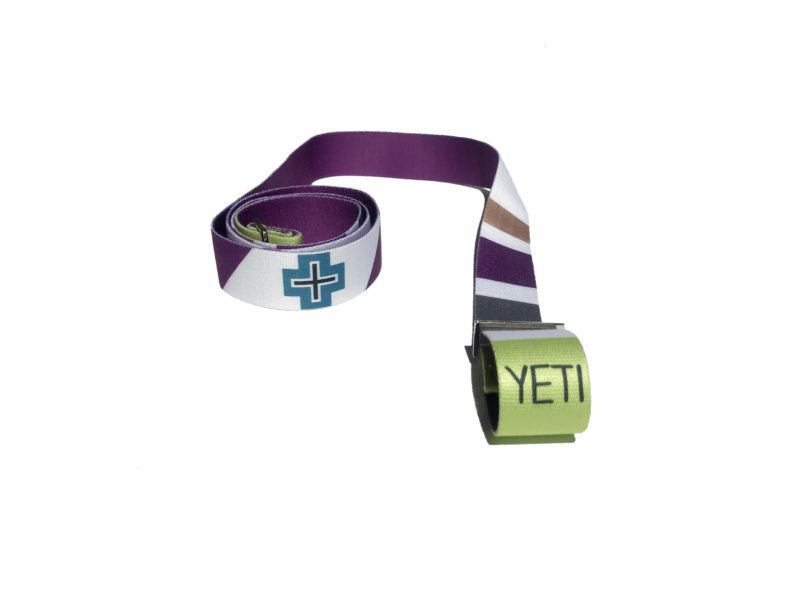 Yeti Yoga’s 100% cotton straps quickly transform from mat carrier to a completely adjustable yoga strap in seconds. The last thing you want as you reach for a little help is a wobbly, unreliable block. 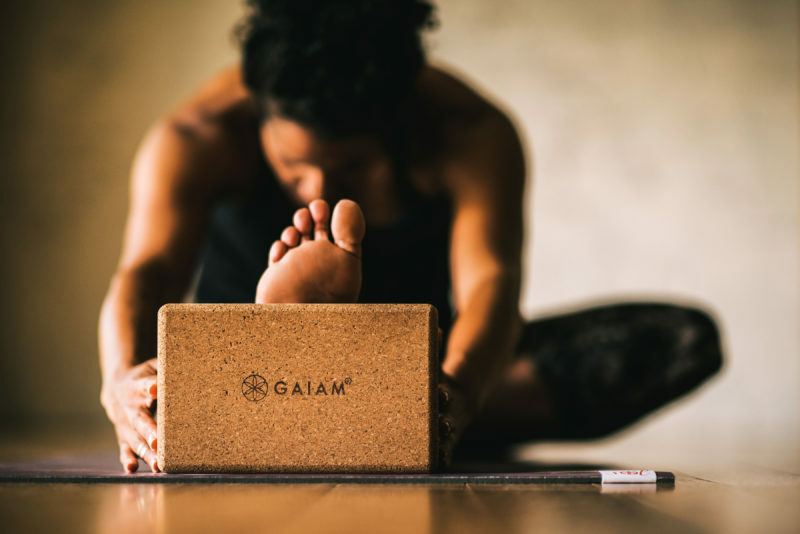 Made from sustainable cork, Gaiam’s Yoga Brick is sturdy enough to take off into an elevated handstand while still being flexible and pliable enough to relax in a supported bridge. Rounded edges and a grippy texture keep you firmly grounded and comfortable in any pose. Handcrafted in Vancouver, Canada, this supportive bolster is made with natural cotton and polyurethane foam so you can rest easy. At 5 lbs., the bolster is easy to maneuver with one hand to find just the right place. 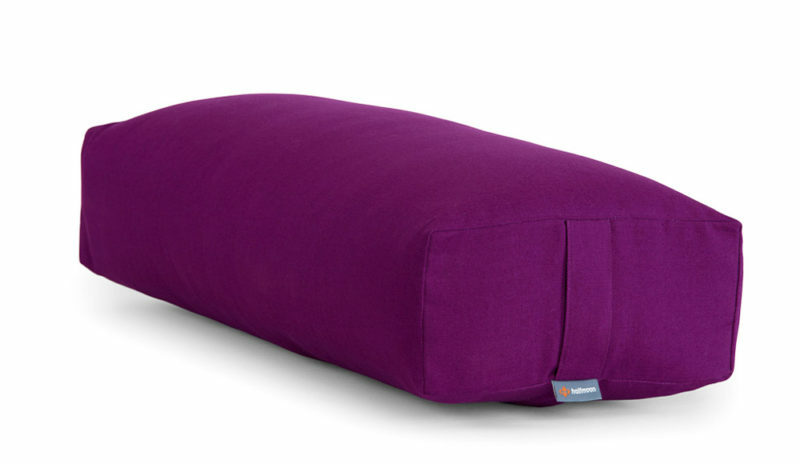 The high loft and sturdy construction mean it easily doubles as a meditation cushion. Transform any into a non-slip surface with this yoga towel. Each absorbent towel is made from discarded plastic bottles and dyed without lead or heavy metals. Silicone nubs along the bottom of the towel keep it solidly in place so you don’t have to constantly adjust it between poses. Once you roll into a completely supported backbend on a Dharma Yoga Wheel, you’ll never want to go back to struggling alone on your mat. Made in the U.S. with 100% recycled materials, the yoga wheel is light enough to take with you to class or play around with at home. Узнайте про классный портал со статьями про https://yarema.ua.